Riverdale, NY–It was ugly from the opening horn until beyond the end of the game for the Manhattan Jaspers as Fairfield came into Draddy Gymnasium on Thursday night and dominated the home team. 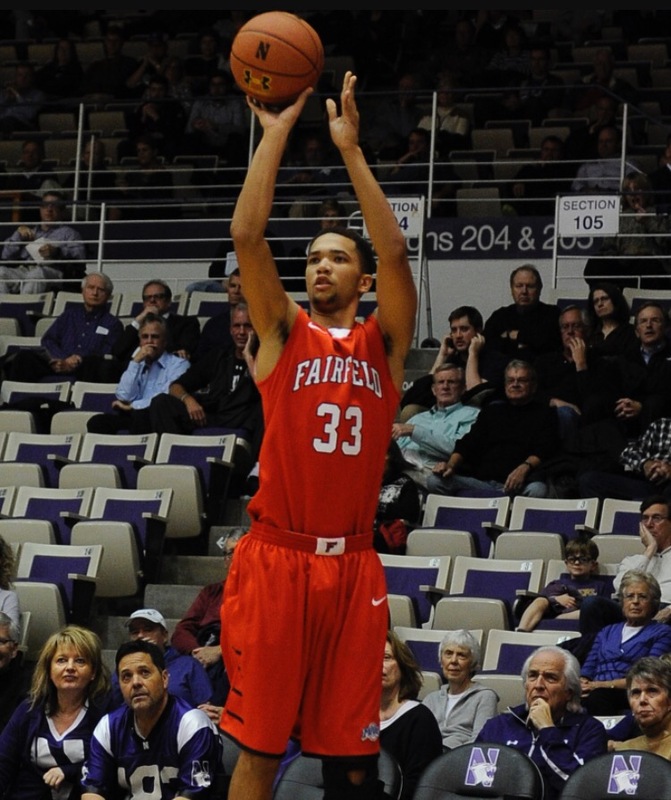 Fairfield’s Curtis Cobb tied the MACC record for points in a single game (46) as the Stags (8-5) beat the Jaspers (5-10) 97-79. The game saw Jaspers Coach Steve Masiello get ejected in the 2nd half and an ugly scene as Manhattan’s Ahmed Ismail had to be restrained by teammates and family while a Manhattan staffer was on the ground for several seconds following a skirmish in the receiving line after the horn. Pure stats cannot explain how pure Cobb’s shot was in the first half. He had five made three pointers with 11:44 left in the first half. At halftime, Cobb almost outscored the whole Jaspers team (33 points total) with 31 points after the opening stanza. Fairfield coasted into halftime with a 54-33 lead. Cobb was 11/14 from the field (7/9 from behind the arc) in the first half. The second half saw the Jaspers cut into the Stags lead thanks to an unrelenting full court press that caused several Fairfield turnovers. Manhattan cut the lead to nine (79-70) with 6:58 to play as Cobb cooled down slightly. Fairfield then went on an 18-9 run to finish the game as Cobb heated up again. He went to the bench in the final minute tied with Iona’s A.J. English for the MACC single game point record. Fairfield Coach Sydney Johnson saw Cobb was in a groove early and complimented his team on getting the ball to the hot hand. “The guys were really unselfish, saw he (Cobb) was hot and got the ball to him. I’m really proud of them.”, said Johnson. Zane Waterman had 26 points for the Jaspers who are still winless in conference play . Tyler Wilson had 16 points for The Stags, now 3-1 in the MACC. Fairfield hosts Canisius next while Manhattan hopes to get their first MACC win of the season when they travel to Quinnipiac on Sunday. Follow us on Twitter at @NCAAhoopsdigest for Jaspers news and game coverage.